ROLL CALL: “Where Ya From..Where Ya At”? | "IT'S A STEELERS WORLD"! 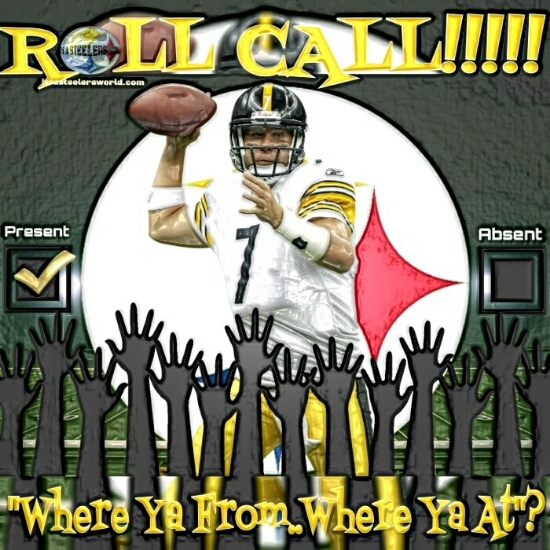 ROLL CALL: “Where Ya From..Where Ya At”?